Tea is exquisitely ingrained into culture and societies across the globe are often associated with their favorite or most famous types of tea. The Brits have their Earl Grey, the Japanese have matcha and the Moroccans have mint tea. Served at all times of the day, it's always tea time when it comes to drinking this sweet, refreshing beverage. Enjoyed by locals and tourists alike, Moroccan tea has come to represent a joyful aspect of the North African culture. With presentation consisting of a gorgeous tea service including carved silver kettles and painted, cylindrical tea glasses, it’s no wonder that Moroccan tea is so popular as a social activity. With simple ingredients consisting of fresh mint leaves (not tea bags), sugar and water it should be a fairly easy tea to brew up right at home. Yet somehow this tea just never tastes quite as good as it does on Moroccan soil — until now. Read on to find out how to make your Moroccan tea just like the locals. What Is Moroccan Mint Tea? 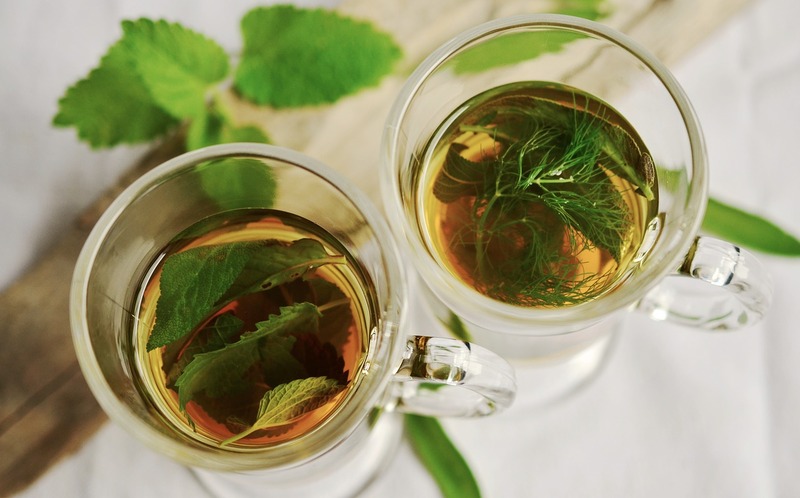 While there are a variety of mint teas out there including peppermint tea and chocolate mint tea, Moroccan mint tea is an herbal tea made using green tea and spearmint. 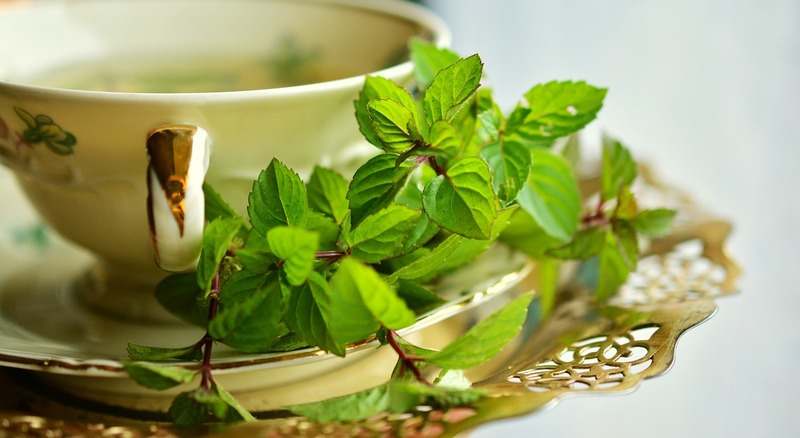 Moroccan mint tea typically uses the Mentha spicata type of spearmint, also known as nana mint. For the green tea portion, a strong Chinese tea such as gunpowder is used. Mint tea tastes tantalizingly sweet while the astringent properties of the mint leaves add a sour, bitter taste that balances the flavor. Jokingly called Berber whiskey, this type of mint tea is generally strong and features a full-bodied flavor and aroma that invigorates and freshens. There are two brewing methods, a simple method and a more complex option that develops flavors more fully. We'll go over both methods here more in depth in a moment. For the simple method, the green tea is brewed using boiling water and allowed to steep before sugar and mint leaves are added for serving. For the complex method, tea leaves are cleansed in several steps and fresh mint is boiled to pull out more flavor. Moroccan mint tea is essential to social life and culture in the Maghreb. In Morocco, tea bars take the place of typical cafés that dot the streets of European and American cities. Tea is enjoyed by vendors sitting on plastic chairs in the local markets and often friends and acquaintances are invited into parlors and lounges to enjoy cups of this delightful beverage. Moroccan mint tea is traditionally brewed and served by the head male in the family and given to guests as a sign of welcoming hospitality. Moroccan mint tea is generally served in at least three glasses per person and in some areas it is considered rude or offensive to refuse. With each glass, the flavor of these hot drinks changes, with the first glass typically being the mildest in taste and the last glass more bitter and strong. As discussed, there are two ways to make Moroccan fresh mint tea, one being more practical and simple, the other more traditional and representative of the esteemed place tea holds in Moroccan society. Both brewing methods result in a delicious mint tea. Choosing the method that works best for you will depend on how much time you have and how closely you want to stick to traditional techniques. Moroccan tea is so integral to social engagements that most households own several tea services, ranging from elegant displays for special occasions to more muted service for daily use. For the full cultural experience, you may want to invest in a Moroccan tea service, but if not, make sure to at least choose a tea set that includes tea glasses, a serving tray and a Moroccan teapot. Moroccan teapots, known as berrads, can be set directly over an open flame or right on the stovetop. Tea glasses should have a capacity of about 3 to 4 ounces to look authentic although you can substitute small juice glasses if you prefer. Serving trays are typically metallic in color although you can choose a vibrant tray instead to complement your tea glasses. As mentioned, most Moroccan mint tea is made using Chinese gunpowder tea due to its high quality and pungent flavor profile. This type of green tea comes in pellets that resemble bullets, hence its name. The tighter the pellets are pressed together, the higher the quality and the better the flavor of your tea. Gunpowder tea should have a slight sheen to it, which reflects its freshness. Moroccan mint is typically made using fresh spearmint or nana mint. You can grow this mint in your herb garden to always have fresh leaves on hand, although occasionally dried leaves are used as well in winter or when fresh leaves aren't obtainable. Sometimes, Moroccan mint tea is flavored using lemon verbena, wormwood or geranium as well, but for our purposes here we'll stick with nana mint. Moroccan mint is notoriously sweet — sometimes nauseatingly, overwhelmingly sweet. That strong sugary flavor should be counteracted by using the pungent flavor of mint leaves. In traditional brewing, tea masters use either sugar cones or large blocks to brew large pots of tea. Since these aren't as readily available stateside, you should aim to use about 7 tablespoons of caster or granulated sugar when using a standard-sized Moroccan teapot. Some recipes call for about double that, 1 cup, so you can play with your recipe to get the minty-sweet balance suited to your taste. Now that you have all of the essentials, let's get to the brewing method. For preparation, you'll need to use two different kettles or a pot and kettle. To keep things clear and simple, we will differentiate between the Moroccan tea kettle which is the one you will use to brew and serve the tea and a pan or pot which you will use to rinse the leaves in preparation for brewing. Preparing Moroccan mint tea is an immersive experience that encourages you to pay attention to the details, from the types of glasses you use to selecting high quality tea and rinsing leaves using ancient techniques. The prep time and total time for preparing Moroccan mint tea this way is longer than the simple method below. This brewing method is more involved than simpler alternatives, but most closely matches the process used in Morocco for centuries. Rinse out your teapot to remove any dust, set aside and bring water to a boil using a pan or second kettle on the stove. Once the water has reached its boiling point, add gunpowder green tea to your Moroccan tea kettle. You should use about 2 large tablespoons of gunpowder tea for every liter of water. Pour about one tea glass’ worth of boiling water into the Moroccan kettle. Let sit for 1 minute and do not stir or swirl. Next, pour the liquid out into a small tea glass and set aside. The leaves will absorb water as they begin to develop flavor so don't worry if you pour out less tea than you initially added; this is normal. This liquid is known as the “spirit” of the tea and we will add it back in later for fuller flavor. Next, add a second tea-glass-sized amount of hot water to the Moroccan kettle. Allow to sit again for 1 minute, but this time make sure to swirl around to rinse the leaves. Discard the liquid. Mint leaves should be washed before adding to your tea to remove any pollen, dirt or dust that may accumulate on the leaves during the growing process. To wash the mint, simply immerse in a full cup of water, stir it around and remove. Make sure to towel dry your mint leaves. Before adding the mint leaves, we will reheat the tea leaves in the Moroccan tea kettle. Take the Moroccan tea kettle and fill it two-thirds of the way up with the remaining boiling water from the pot or pan. Set directly on a burner on the stovetop and heat at medium heat. Next, add the spirit liquid back into the Moroccan tea kettle. Once the water begins to develop bubbles on the surface, add in the nana mint leaves. Typically, tea masters use a small bowl-sized amount of mint leaves, but you can tweak this to suit your tastes. More mint will lead to a stronger, more bitter brew, while less leaves with be milder in taste. Next, add in the sugar — about 7 tablespoons or to taste — and allow to continue steeping. Next, turn the heat up to bring the tea, sugar and mint leaves to a boil. Once the tea leaves rise to the top, you can remove the kettle from the stove. Do not stir or mix the leaves as you remove from heat. Moroccan mint tea is mixed as it is being poured, not before and this lends to the performance art of preparing Moroccan mint tea. The tea is poured high above the glass and then poured back into the teapot to mix. This pouring method allows the tea to aerate and the long neck of Moroccan style kettles furthers this process. This process is repeated around 5 or 6 times and can be done in front of guests as a visual treat or before serving. Moroccan teapots contain a built-in tea strainer so you don't need to worry about tea or mint leaves coming out during the mixing process. If you didn't use a Moroccan tea kettle, make sure to keep the leaves in a tea ball or use a strainer when serving. Hold the kettle high above the glasses on your final pour to aerate the tea and create a layer of soft foam at the top of the glass. Tea glasses should be filled about 3/4 full. Add a sprig or two of fresh mint leaves and enjoy a chat with friends, family and guests. Now, the traditional brewing method may seem a bit too complicated or time consuming if you just want to enjoy a cup of Moroccan mint before tackling a busy day. For those moments, you can still enjoy this delightful beverage by using the simple Moroccan mint tea recipe outlined below. For homemade mint tea, you can brew on the stovetop using a teapot, with a French press or a coffee machine with a coffee filter. Start by heating gunpowder green tea and allowing to steep for 15 minutes. Once the green tea leaves are steeped, pour the tea into a stainless steel pot using a fine mesh strainer or tea filter. Make sure to remove as many of the leaves and powdery residue as possible. Add sugar to taste. If you want to add granulated sugar, you'll need to reheat the tea mixture for the sugar to dissolve. If you're really pressed for time, use a sugar syrup like simple syrup instead, which is already in liquid form. Add fresh mint leaves and leave over heat for about 2 minutes. Serve using traditional Moroccan tea cups or any mug you have on hand. Some people prefer their Moroccan mint tea cold and this is a beverage that is just as delicious as an iced tea as it is as a hot brew. To make iced Moroccan mint tea, brew as indicated above. 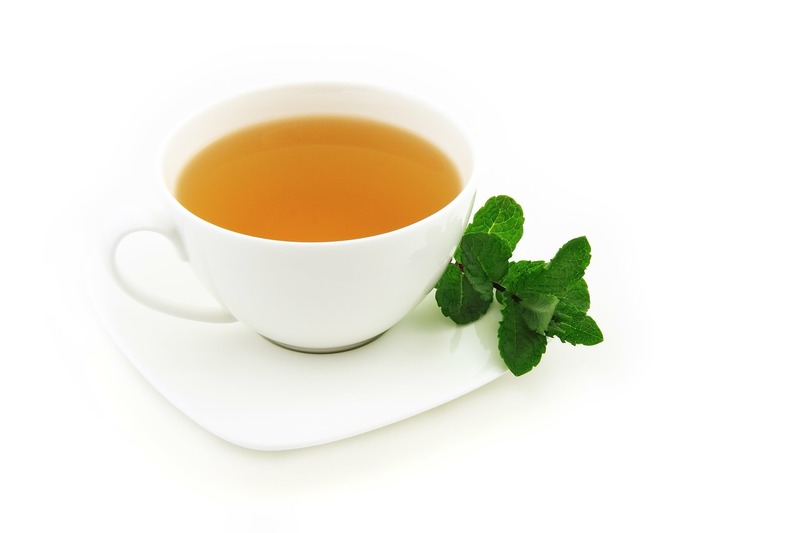 Mint tea should not be brewed using cold water as it does not develop flavors as well as hot water. Let the hot brew cool to room temperature before adding ice cubes and serving. Add lemon juice for a tangy flavor or a lemon wedge for garnish. Whether you love mint tea hot or cold, this delicious tea is a great way to unwind and relax with your loved ones. Both hot and mint iced teas offer an array of health benefits ranging from soothing a sore throat to preventing nausea and curing a stomach ache. 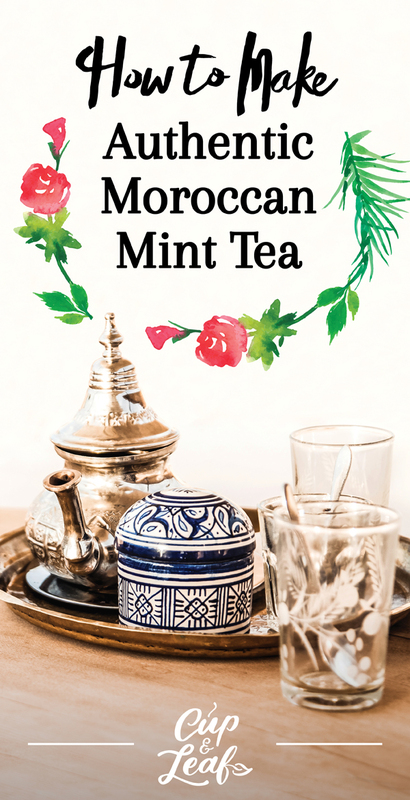 Deeply ingrained into social events and as a way to demonstrate hospitality, Moroccan mint tea is a sweet tea that will endear you to friends and acquaintances alike.